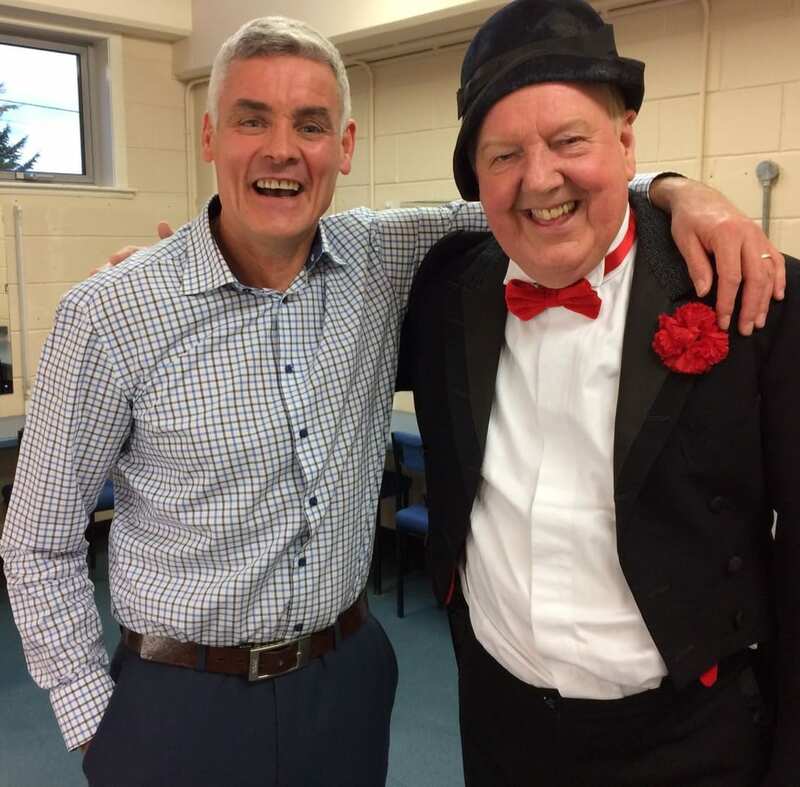 Famous entertainer Jimmy Cricket helped raise funds for a church in Lancaster earlier this month. The Northern Irish comedian performed at Bentham Town Hall in the Lancashire city on Saturday 10 November in aid of St Boniface Roman Catholic Church. Also on the show was Jimmy’s wife May Marion and their good friend Jonathan Young from The Bachelors. 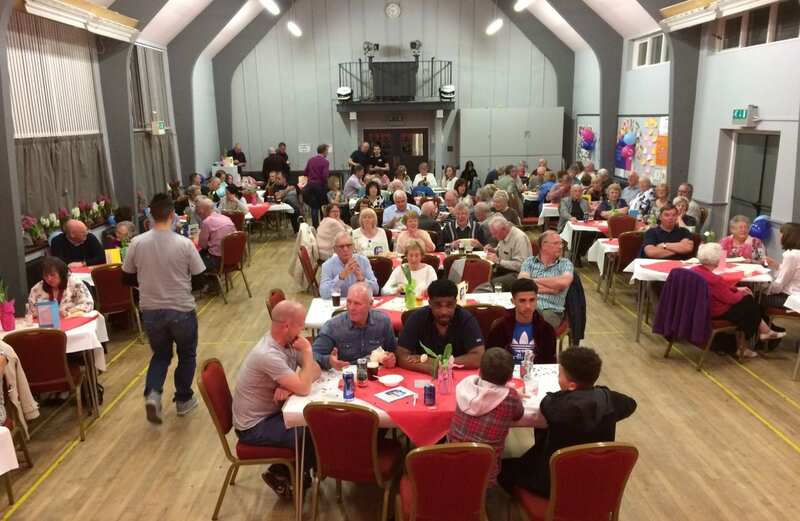 The church’s website said the event was a sellout and “a very enjoyable evening”. Jimmy Cricket is taking his “Great Value For a Tenner” comedy show to East Yorkshire on Sunday (26 August). The famous Northern Irish entertainer will be performing at the Bridlington Spa, a dance hall, theatre and conference centre. Also performing is Jimmy’s wife, the singer May Marian. The show starts at 6pm and children can watch it for just £2.50. To book tickets, visit here or ring 01262 678258. 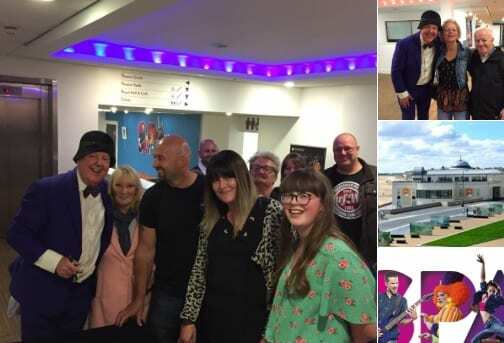 A children’s hospice in south Manchester benefited from Jimmy Cricket’s latest ‘jam’ night in Rochdale. 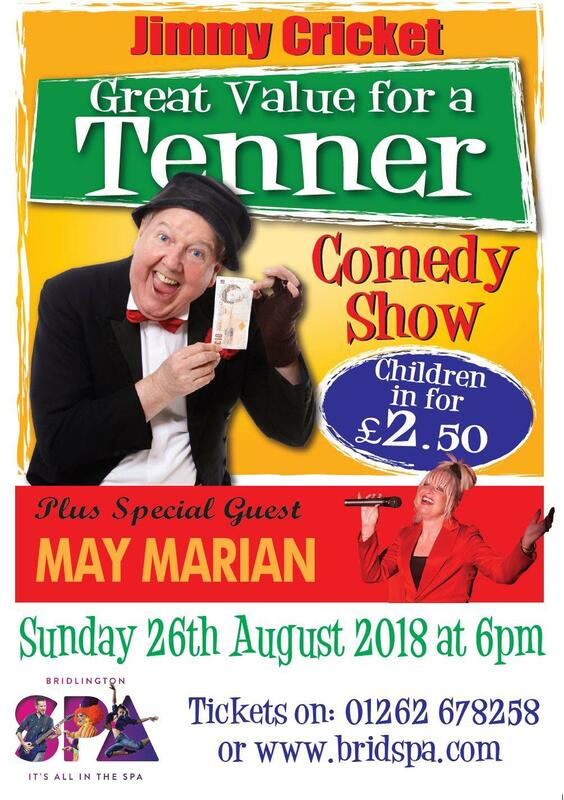 The event, hosted by the famous Northern Irish entertainer and his wife May Marion every couple of months, takes place in the lounge area of a local parish centre in his home town of Rochdale. It started about a decade ago as an opportunity for Jimmy and other performers to try out new routines and is still going strong. 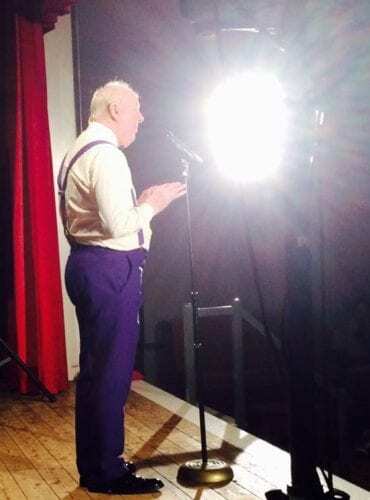 The famous entertainer has nicknamed those who come to regularly support these evenings as ‘Jimmy’s Jammers’. At every event, there is a raffle and the selling of refreshments, with all proceeds donated to a chosen charity. 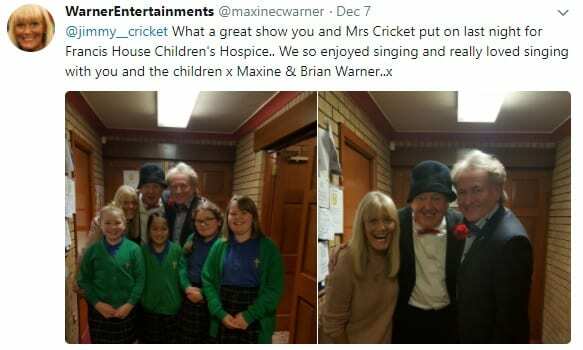 Francis House Children’s Hospice, which is based in Didsbury, was the beneficiary of the December jam night, which was also attended by Brian and Maxine Warner of Warner Entertainments. 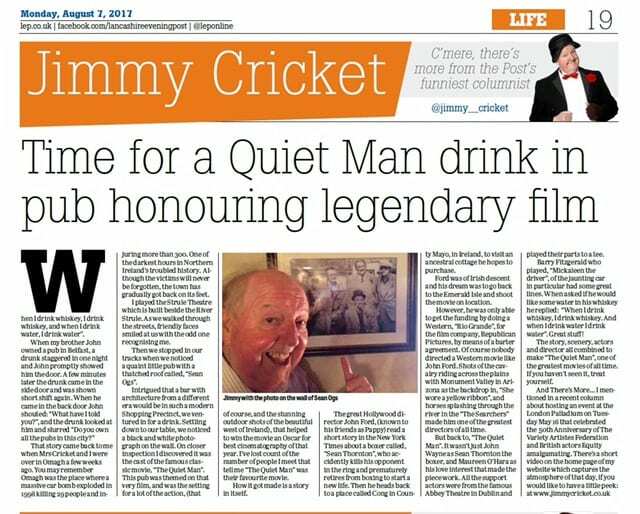 Jimmy Cricket has been recalling when he and his wife May came across a distinctive Northern Irish pub which is themed on a legendary film. The famous entertainer made the recollection in a recent monthly column in the Preston-based Lancashire Evening Post. He and Mrs Cricket noticed the pub, which has a thatched roof, while he was working at the nearby Strule Arts Centre theatre in Omagh. 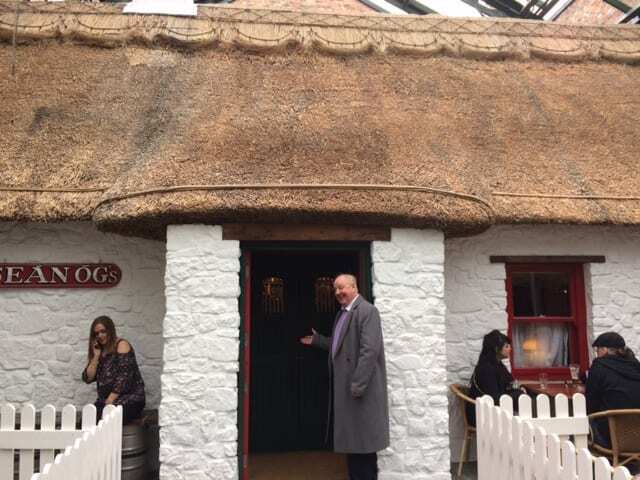 The Sean Ogs pub is themed like the one in John Ford’s 1952 classic film The Quiet Man starring legendary actor John Wayne and Maureen O’Hara, who was an Irish-born American actress and singer. A black and white photograph on the wall of the pub shows the cast of the 1952 movie, as Jimmy, 71, discovered it was the setting for much of the action. The film, a comedy drama, won an Oscar for the best cinematography that year. All the support actors were from the famous Abbey Theatre in Dublin. It is also known as the National Theatre of Ireland and first opened its doors to the public on 27 December 1904. 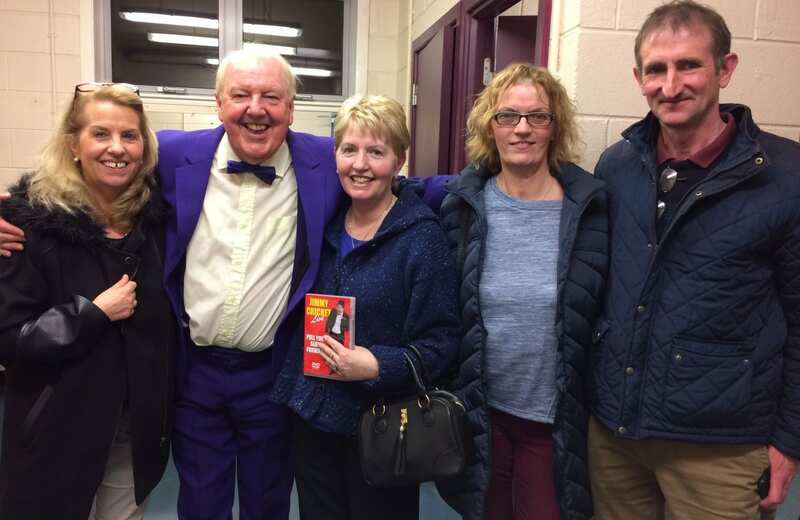 Jimmy Cricket and his wife entertained on stage alongside performers from a local dance academy earlier this month. 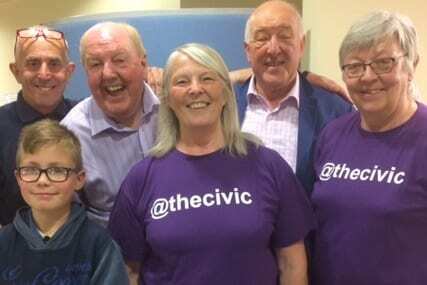 The famous entertainer, 71, and Mrs Cricket, known professionally as singer May Marion, were in Shropshire for his Value for a tenner show on Sunday 11 June. 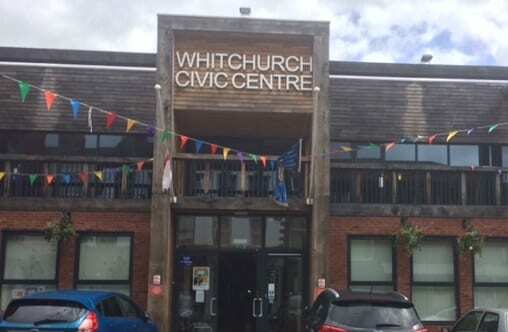 Jimmy Cricket and his wife May recently came across a pub with a thatched roof while working at the nearby Strule Arts Centre theatre in Omagh. Sean Og’s pub is themed like the one in John Ford’s 1952 classic film The Quiet Man starring legendary actor John Wayne and the wonderful Maureen O’Hara, who was an Irish-born American actress and singer. 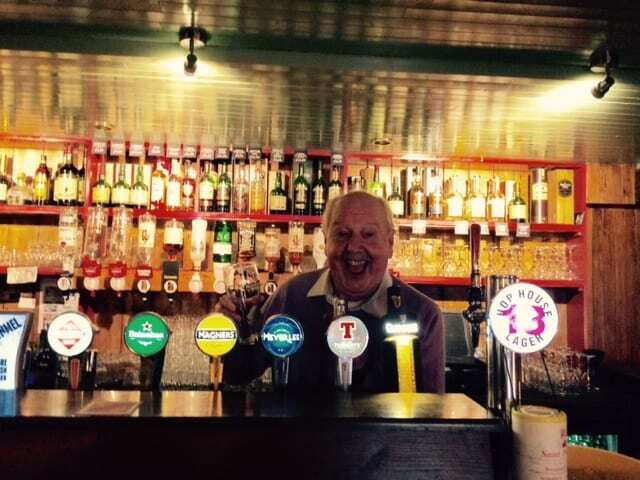 Famous Northern Irish entertainer Jimmy, 71, described Sean Og’s pub as a “little gem”. 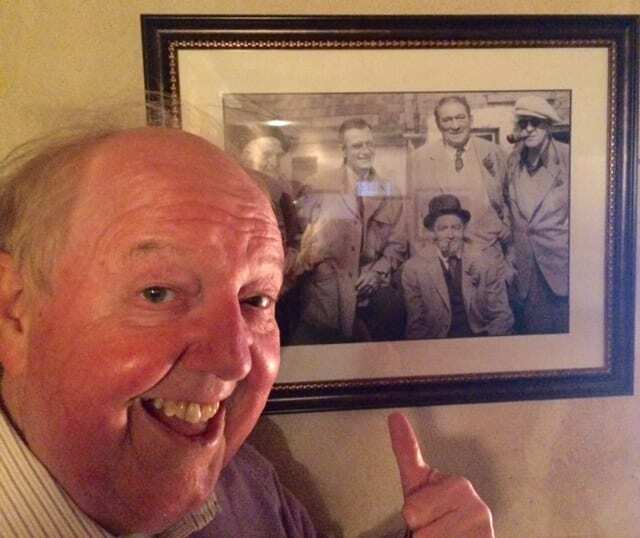 Jimmy Cricket has recently been over to the Emerald Isle where he had a wonderful visit to what he describes as “one of the nicest theatres in Ireland”. The An Grianan Theatre in Letterkenny hosted Jimmy and his stand-up comedy show where all seats are a tenner. As this Donegal town is located just across the border from Northern Ireland and the city of Derry, the tickets were not priced at £10 but 10 euros! Joining Jimmy on stage for the second time in six months was his special guest for the night, Letterkenny-based comedian Andy McGranaghan (both are pictured right). A great crowd turned up to see Andy, Jimmy and his wife May Marion, who provided some musical interludes during the show. 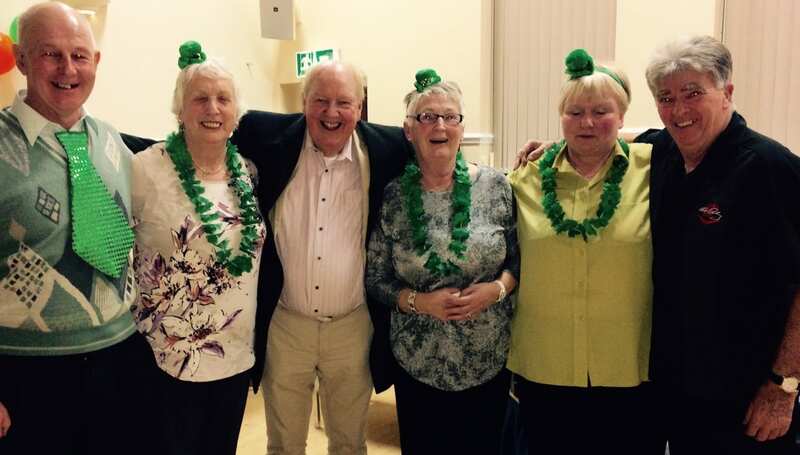 Some of Jimmy’s relatives were among those present as his second cousins have always lived in Donegal and whenever he visits they try to see him for a catch-up. After the show Jimmy stayed overnight in the beautiful coastal town of Buncrana, where he had a fabulous stay at the aptly named Harbour Inn located across from the beach and the Donegal coastline. West Lancashire event is another extravaganza! A great night was had by all those who came to see Jimmy Cricket recently at the All Saints Church Hall in Hesketh Bank, West Lancashire. The event was organised by Jimmy’s friend, Tom Shorrock, who hails from neighbouring Walmer Bridge. Tom is a milkman during the day and lives outside the village on a farm. 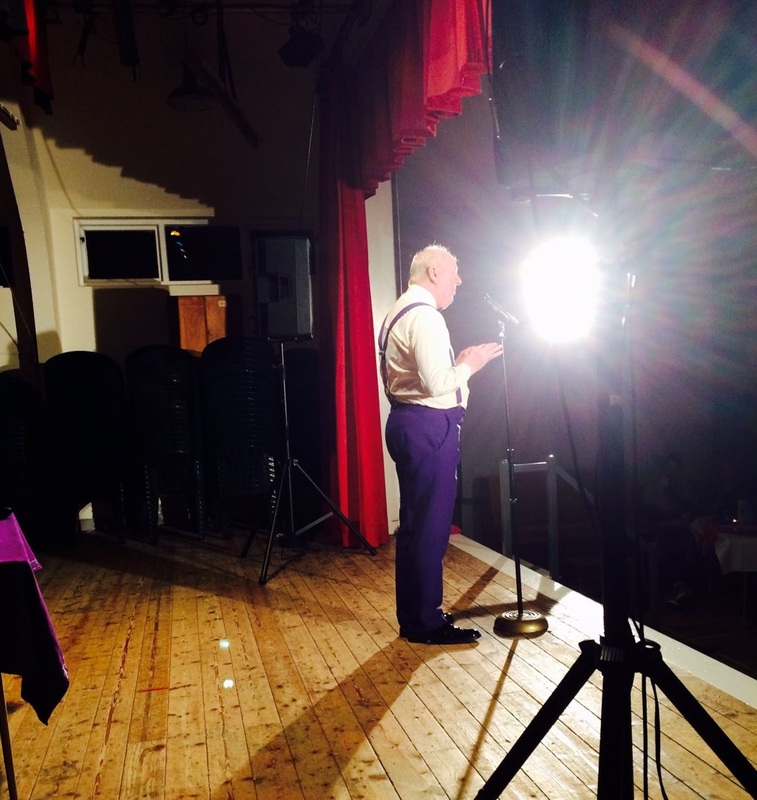 He has arranged many events over the years at the Walmer Bridge Village Hall and not just with Jimmy, but with other comedians such as Dusty Young and Norman Prince, plus bands like as The Swing Commanders and the Jive Aces. When Tom asked Jimmy whether he would consider coming to a new venue he had found in nearby Hesketh Bank, the famous Northern Irish entertainer could not refuse. Appearing alongside 71-year-old Jimmy was his wife, the female vocalist May Marion. 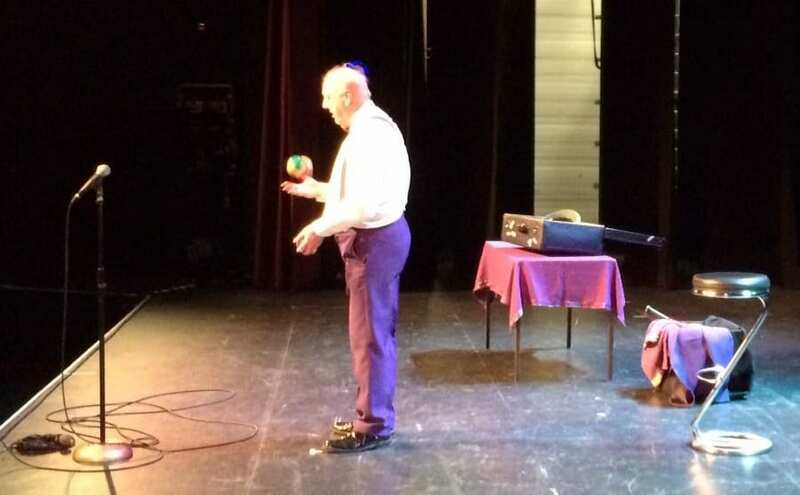 With a good crowd in attendance for the evening’s performance, it turned out to be another of Tom’s extravaganzas! 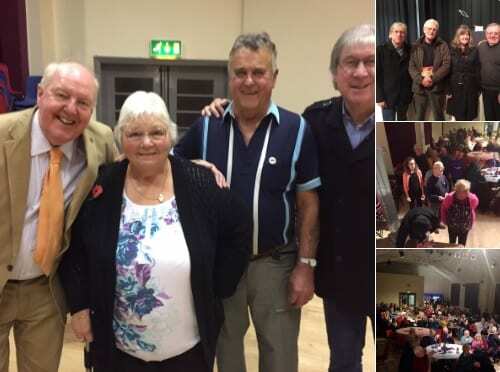 Jimmy Cricket recently returned to the quaint Ribble Valley village of West Bradford near Clitheroe for another fund-raising event. 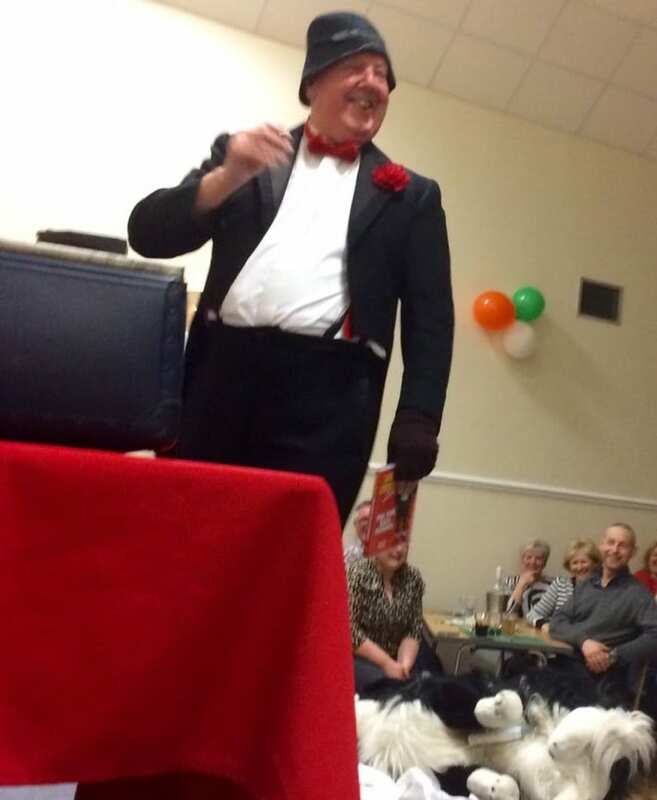 The Northern Irish entertainer was last at the Lancashire village’s community hall in 2015 and organiser Michael Fox had hoped to snap up his services again after what was a successful first event. As Jimmy had been down to appear in neighbouring towns and villages of the Ribble Valley, Michael has had to wait a couple of years. Jimmy’s return coincided with this year’s St Patrick’s Day festivities as the show ended up being scheduled for the Friday after 17 March. It gave Michael and his organising team good cause to make the event into an Irish-themed one, with tricolour flags out in force. Michael even turned up in a green tie (top picture)! For this second successful appearance, Jimmy was joined by his wife, female vocalist May Marion, and Jim Nicholas of Cliff’s Disco – who dressed up as Elvis Presley for the evening (below).